Born and raised in Nova Scotia, means that Terry Elliott knows his province well, and has witnessed the vast changes that have transformed the province over the years. 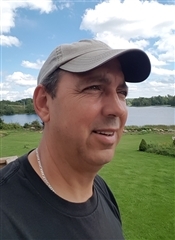 His exceptional knowledge of the market from working as a real estate agent for almost two decades, means that he has listed and sold hundreds of properties throughout the South Shore, Annapolis Valley, and Halifax County. Terry’s success as a realtor is due to his market knowledge about locations, property value, property types and advertising strategies. If you are buying, he will provide you with his honest opinion, and the best marketing data to inform and assist you when choosing a property. With over nineteen years of experience buying and selling real estate, he has the knowledge to be able to nail down and close deals without the usual fuss and hassle of lengthy negotiations. Terry believes in paying attention to the unique needs of his individual clients. Tell him what you are looking for, and he will match your desire with that perfect property. When selling homes, he skillfully features a home’s unique character. Terry showcases properties on his website and offers his client’s special services which often includes aerial photography. Terry understands that buying and selling real estate can be stressful. That is why he works hard on your behalf to make your experience as pleasurable as possible. He will accomplish this through constant communication and being assessible whenever you need him. As you can see from reading the testimonials of some of his previous clients, they say that he is honest, knowledgeable, and has a high level of integrity. He believes that his professional reputation is of upper most importance in gaining your trust. His affiliation with the Nova Scotia Association of Realtors means that he takes regular courses to update his knowledge and has a high code of ethics and standards of practice. Give him a call! He would find it a pleasure to work for you.